Provide comfort for the family of Jasper Beauchamp with a meaningful gesture of sympathy. Jasper Newton “Chuck” Beauchamp, 100, passed away Wednesday, February 6, 2019. Funeral services will be 1:00 p.m., Monday, Feb. 11, at Pecan Grove Funeral Home, 3124 Robinson Drive, Waco, with Rev. Jeremy Holt officiating. Burial will follow at Union Cemetery, 1423 Hwy 935, Durango, TX. 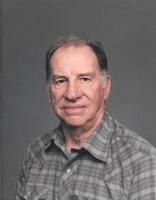 The family will receive visitors from 4 – 6:00 p.m., Sunday, Feb. 10 at the funeral home. Chuck was born August 15, 1918 to Jack and Essie Beauchamp. He served in the US Army during World War II in the European Campaign receiving a bronze star, two silver stars and two purple hearts. He married Velma Mae Heathcoat in July 1945. He worked at General Tire for 36 years. He loved to dance and belonged to several senior dance clubs in central Texas. Chuck was preceded in death by his parents, Jack and Essie; his wife Velma, of 67 years, two sisters and three brothers. Chuck is survived by his two brothers, Bryan Beauchamp of Rosenthal and Glen “Pop” Beauchamp of Lorena, and one sister-in-law, Betty Beauchamp of North Carolina; son, Donald and wife Dorothy of Spring; daughter Linda Holt and husband Ken of Moody; son Michael and wife Leticia of Dallas; eight grandchildren; 12 great-grandchildren; and two great-great-grandchildren. We encourage you to share your most beloved memories of Jasper here, so that the family and other loved ones can always see it. You can upload cherished photographs, or share your favorite stories, and can even comment on those shared by others. Mike sent flowers to the family of Jasper Newton "Chuck" Beauchamp. Sending my deepest sympathy. Now the old Rosenthal group is together again in Heaven. Bonnie Vasser Smith, Salado, TX. 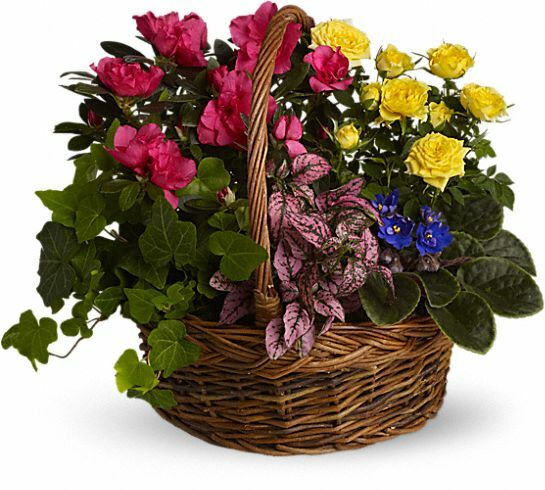 Mike purchased the Blooming Garden Basket for the family of Jasper Beauchamp.